Jaipur : The initial investigation in the murder of Muslim labourer in Rajasthan’s Rajsamand district rules out a case of 'Love Jihad'. Labourer Mohammand Afrazul was brutally beaten and burnt to death by Shabhu Lal Raigar, who can be seen ranting against ‘love jihad’ in a video that went viral over the internet. The accused Shabhu Lal Raigar has been nabbed and sent to three days of police custody by a local court. The video was shot by his nephew, who has also been arrested and sent to juvenile home till further orders. The Bengal government has announced Rs 3 lakh and a job to the labourer’s family. 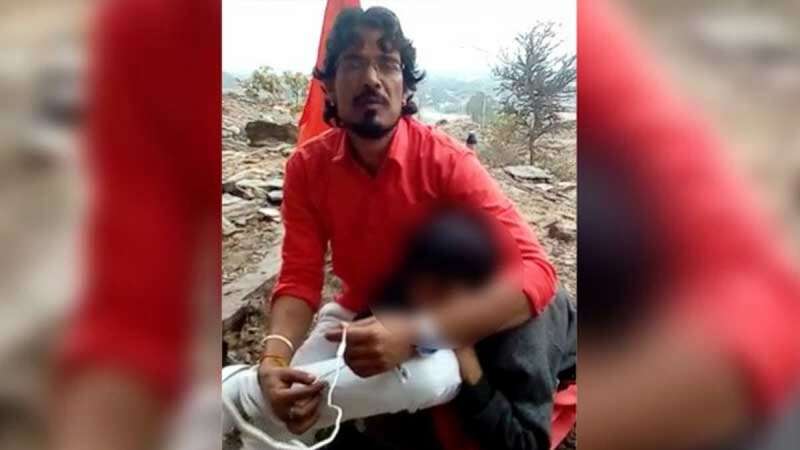 “The accused, Shabhu Lal Raigar, said that he committed the crime over ‘love jihad’, but it has not been established so far that any such theory was behind the killing of the labourer,” Inspector General of Police, Udaipur, Anand Srivastava said. Cops are now investigating to know the real motive behind this brutal killing.